Laser cleaning is an important process in the removal of contaminants from the surface layer of materials. These contaminants can be substrates such as carbon, rubber or silicon. Other damage that materials can suffer is rust, and not only does this tarnish the aesthetics of the material, but it can also be harmful to the quality too. This is why rust removal is an important process, and just one of the many cleaning applications of a fiber laser. Rust is generally known as the result of a reaction between iron and oxygen when there is water or air moisture present. After time, this material can suffer complete rust damage, and simply disintegrate. There are other types of rust, such as reactions between iron and chloride in an environment that has limited oxygen, in which case you may see green rust. 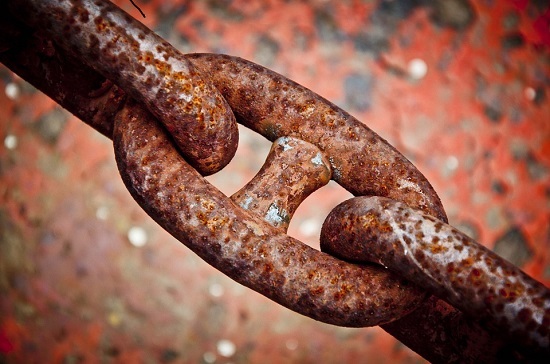 It’s not just metals that suffer rust damage, other materials, such as concrete, can also be subject to it too. Not only does rust look displeasing to the eye, ruining the value of the object that it has damaged, but it can also be harmful to safety too. 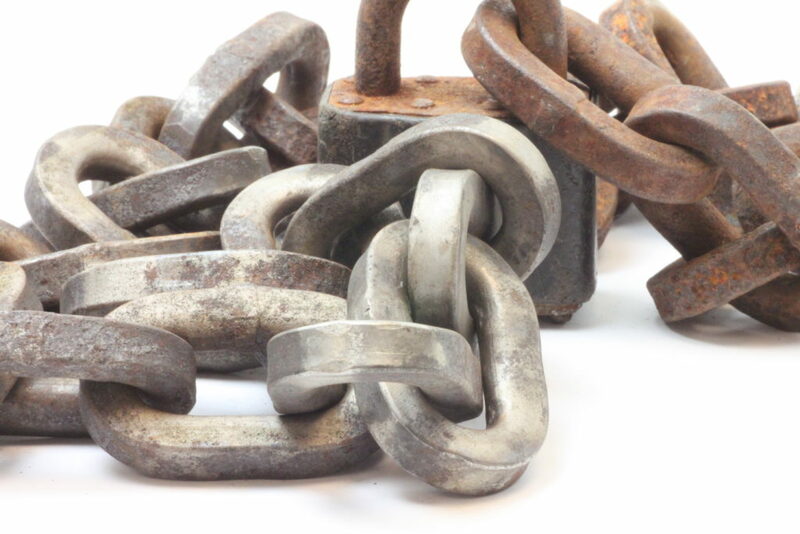 Rust causes materials to become weaker, and over time can completely eat away at a material. If you are considering something like the brake calliper of a car, then you simply can’t afford for rust to pose a risk to human life. Other damages that rust can cause are holes, a loss in magnetic attraction, a loss in electrical conductivity, and it can also cause materials to stick together (which would otherwise slide over one another). Rust can attach itself to works of art, such as on metal frames and also to statues and monuments, which affects the aesthetics and is also damaging. As can be seen, rust removal with fiber lasers is a crucial and necessary process. Fiber laser cleaning is one of the most efficient and effective methods for removing rust from a material. The rust, which is a contaminant, will form on the surface layer of a material. Using a fiber laser, which offers great control when it comes to pulse duration, power and wavelength, the user can direct a beam of high-power energy directly at this rust. The rust will quickly absorb the energy beam, and as the heat begins to rise, the rust will irradiate, melt, and eventually vaporise. Fiber lasers are the most effective types of laser on the market, and this process will allow you to only vaporise the rust from the material being worked with, without causing any damage to the actual material below. A further benefit of this process is that it can be adapted to a wide range of projects. Perhaps you want to remove a small amount of rust from a select area. Alternatively, you may need to restore whole structures, such as old bridges. Rust can be removed from metal surfaces using a Fiber Laser. Fiber lasers have quickly become the most accepted form of medium when it comes to the laser cleaning of rust. This YouTube video demonstrates rust removal from mild steel using a redENERGY G4 70W EP-Z fiber laser. See just how quickly the rust removal process works with an SPI laser. This video shows us some crucial elements of just how effective fiber lasers are in this process. Firstly, the video is just over one-minute-long, so you can get an idea of how quickly the laser can work. Secondly, it is being directed to a select area; the top part of the tool is left untouched. This gives you an indication of the level of control that you are offered with a fiber laser. Finally, and perhaps most importantly, you can see just how effective the result is too. The video here is this time working with a padlock and has suffered rust damage, with the results being much the same as shown in the first part of the video. You can see a clear difference in colour between the start and the end of the video thanks to the fiber laser cleaning process. While this video doesn’t specifically show the cleaning of rust from metal, we thought it was important to include a demonstration of one of our own fiber lasers! The differences in colour of the metal from the start and the end of the video are dramatically different and gives you a great indication of just how effective our fiber lasers are. If you are interested in hearing more about rust removal, laser cleaning, or our range of fiber lasers, then we would be more than happy to share our extensive knowledge. For any questions, please get in contact with us here.